Situated at the highest elevation of 4919 meter, Tilicho Lake is one of the best destinations for adventure trekkers. The trail that used to be familiar only to Hindus and Buddhist pilgrims is now the first choice of most trekkers looking for serene ambience because it offers a great variety of mountainous landscape with rare flora and fauna, culture and religious life. 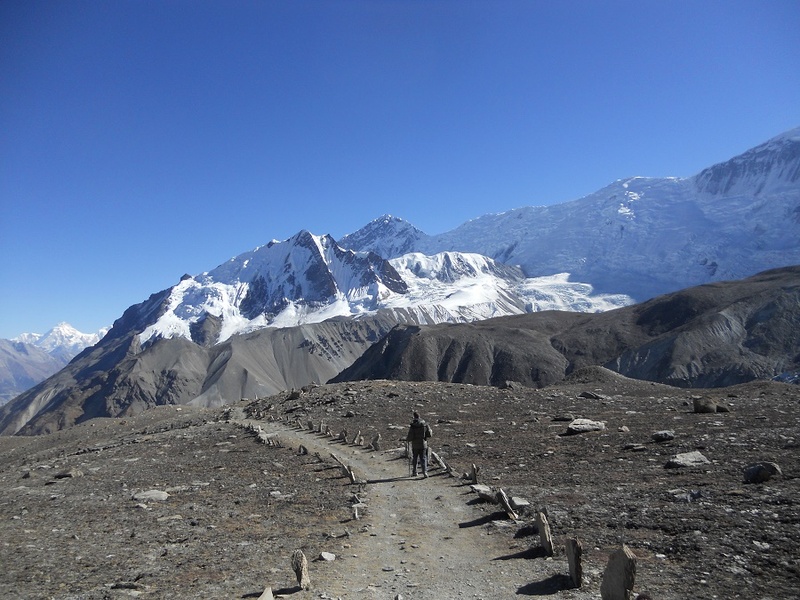 Beside Tilicho, Thorung La pass, Muktinath Tempel and Kaligandaki valley are the highlights of this trail. The trail goes to a maximum elevation of 5425m. In the early morning, you drive to Besisahar which is situated 165 km west of Kathmandu through the Trading village of Dumre. It is a scenic 6 hour drive which allows you to enjoy the scenes of the sprawling Trishuli River and the lush highways with multi ethnic settlements. The highways wind and go zigzag around the hills as you leave the plain southern semi tropical region. After a 100 km drive from Kathmandu, you cross the Marsyangdi river and another 2 hours would take you to Besisahar and then 4 hours drive to Chame- the starting point of your trek. You first pass the older part of Chame and climb up to Telekhu at 2480m and continue with a long, pleasant, leveled walk through the forest to Brathang, which lies at 2950m. After the trail bends here, you see the first view of the dramatic Paungda Danda rock face, a tremendous curved slab of rock rising more than 1500m from the river. You cross back to the south bank of the Marsyangdi River and make a gentle climb over a ridge through blue pine forests .After this, the trek will be reasonably leveled as it heads to upper part of Manang valley to Pisang. The town marks the beginning of the Nyesyang region, the upper portion of Manang district. This day you will stay in Manang to rest as well as to acclimatize to the higher altitudes and thinning air. You can choose to rest and wash some clothing or take a short hike to slightly higher ground like Khangsar which is a 200 meters ascent. The path from Khangsar follows a recently constructed path towards a high ridge. At one point is an intersection – one path moves forward maintaining the altitude, traversing slopes towards a place where the valley is narrow while the other path continues to ascend the line of the ridge. You continue along the new path, reach a high crest and descend on switch backs carved through the slopes to a side valley. At the bottom is a brook and to the other side is the Tilicho Base camp. As you head up along moraine ridges and grassy slopes to some large switch backs carved out of the slope you reach a watershed. On the other side is the Tilicho Lake with camp sites on its north eastern shore. The route ahead is a bit complicated and demanding as you have to cross glaciers from the Tilicho Himal which requires ice climbing gear and the competence to use them. There is also the danger of crevasses hidden in the glaciers. An optional route traverses three minor passes in the mountains north of the lake. Tilicho Lake is famous as the lake in the highest altitude in the world and is considered holy as the bathing place of Guru Ringpoche so a large number of pilgrims visit the place during August every year. You explore around the Lake to experience the rough and wild beauty that the area is. It is also possible to cross the Meso Kanto La pass to Jomsom which is an alternative route to world famous Thorung La pass (5425 m) of Annapurna Circuit. 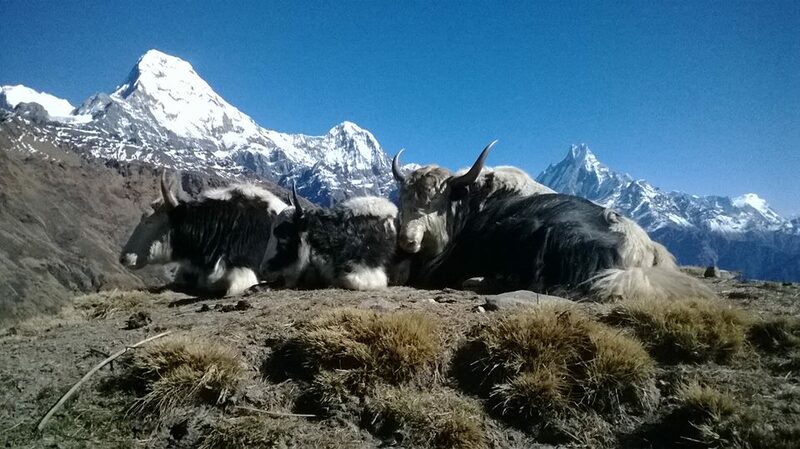 Trekking upwards to Thorung la , you will leave the large trees behind and see vegetation, mainly scrub juniper and alpine grass and you pass a few meadows where horses and yaks can be seen grazing. You soon reach yak Kharka where you see herds of blue sheep grazing in the steep slopes. You travel by Jeep from Marpha to Tatopani to avoid the newly constructed dusty roads. This is the last day of the trek where you walk down stone paved steps in the middle of the terraces down to Syaulebazaar to see the dramatically changing mountain views. There are many beautiful flowers here so it is the best spot for some superb photography. Then you walk down through a rough trail down to Birethanti and end your trek in Nayapool. From there you take a private car to Pokhara and spend the evening exploring the Lakeside area. After the breakfast you are driven to the Domestic Airport to take a 25 minute long scenic flight to Kathmandu. 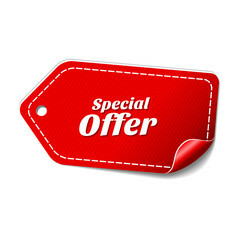 You are picked up by your tour officer at Kathmandu airport and transferred to your hotel. You can choose to relax for the rest of the day or take a guided tour of the city. Your tour officer will meet you at the hotel to make your departure arrangements and drop you off to the Tribhuvan International airport for your scheduled flight. You are always welcome to return back to explore our Himalayan kingdom. 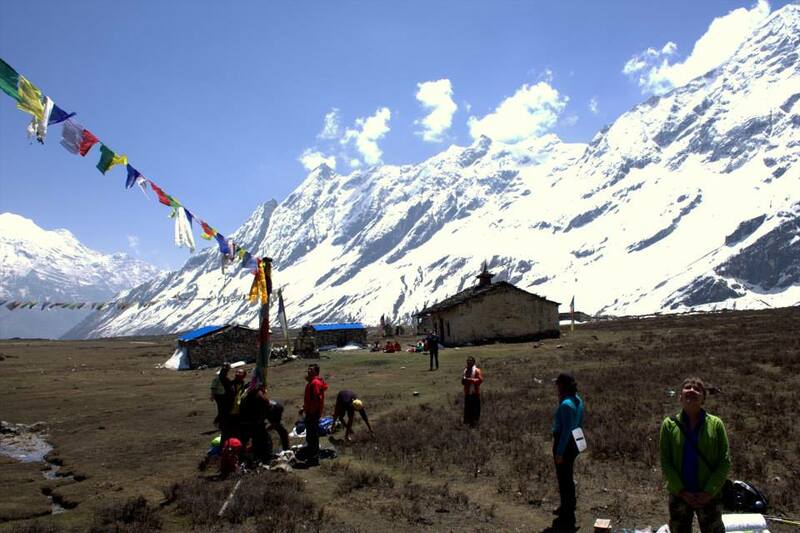 Annapurna Circuit trail is followed as the best of Annapurna region trekking in Nepal. 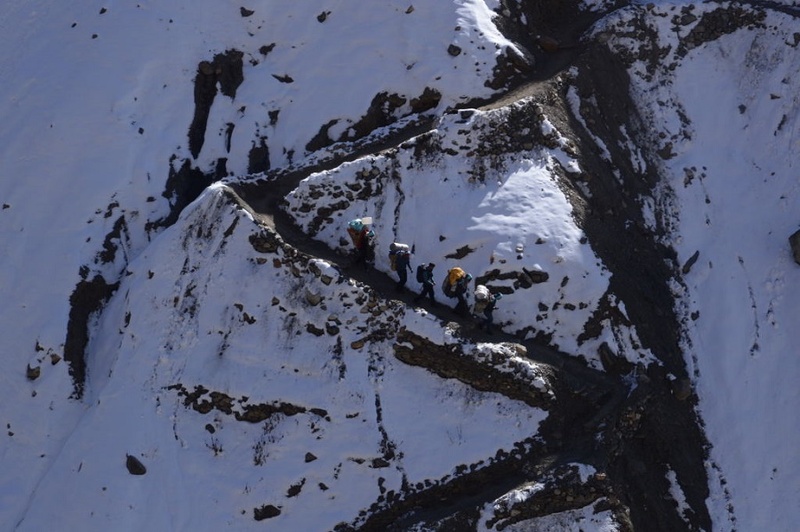 Many Gurung Villages, Thorang La pass and Muktinath temple are the main engaging points along the trail.